Designed for your Flash E Series ball mount, this lock set includes a 5/8" lock to replace the adjustment pin that holds the ball mount platform in place on the shank, and a 5/8" lock to secure the ball mount in your 2-1/2" receiver. 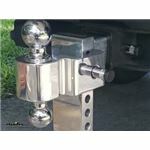 Call 800-298-8924 to order Fastway hitch locks part number FA86-00-3685 or order online at etrailer.com. Free expert support on all Fastway products. Guaranteed Lowest Price and Fastest Shipping for Fastway Trailer Hitch Lock and Adjustment Pin Lock Set for Flash E Series HD Ball Mounts. 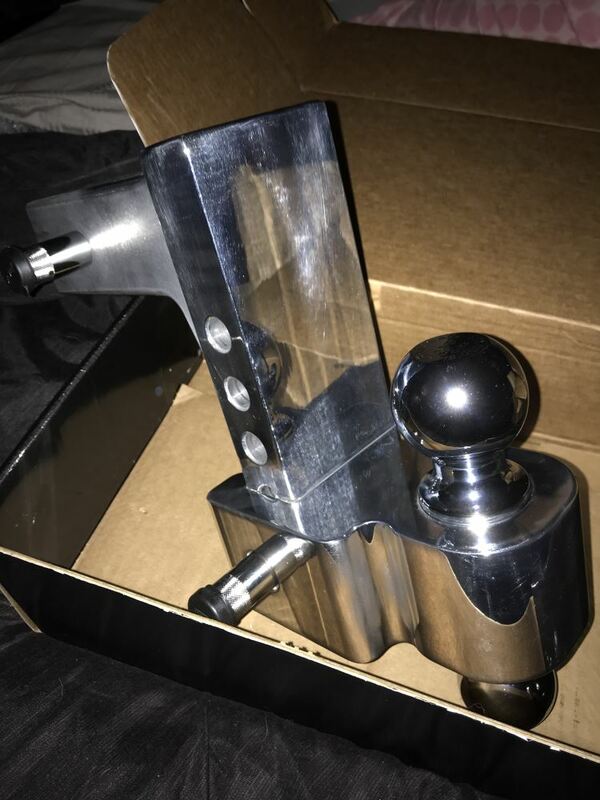 Hitch Locks reviews from real customers. 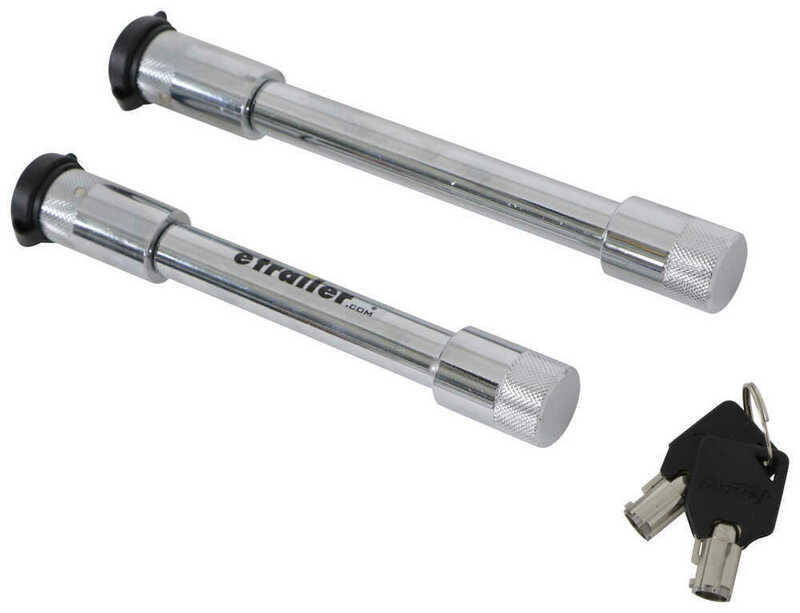 Today we're going to be taking a look at the Fastway Trailer Hitch Lock and Adjustment Pin Lock Set. This flush-style lock set is for the Fastway Flash E-series HD ball mounts, and they're designed to help prevent theft. 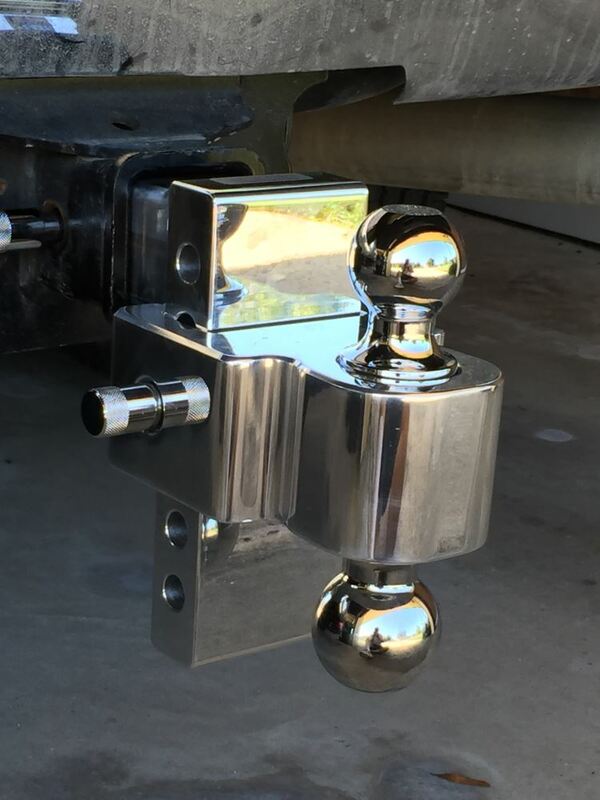 The hitch receiver lock, which is actually going to be the shorter one, this is used in place of a standard hitch pin and clip to secure the shank of your ball mount inside the receiver tube of your hitch. Then this pin right here is the locking adjustment pin. This is used in place of the standard adjustment pin to secure the ball mount platform to the actual ball mount. They're made from a sturdy and durable steel construction with a really nice, sleek, chrome-plated finish that's going to really help it resist rust and corrosion. It's got a nice, easy grip design here on the lock heads. Then, on the end of the pin, really nice, easy to use design. 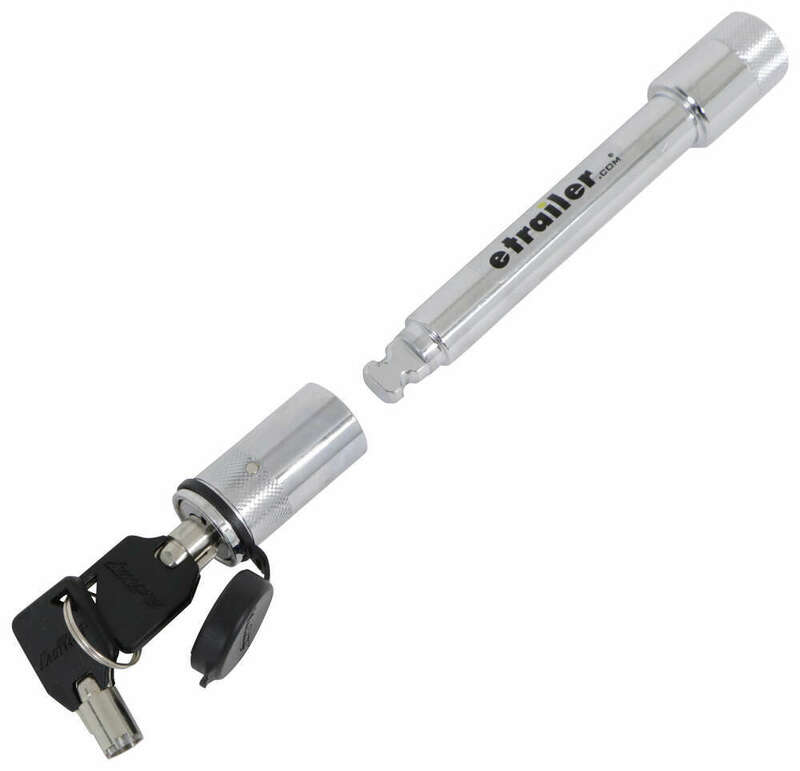 It's going to feature a tube keylock cylinder that provides better security than standard key mechanisms. Much harder to pick, and it resists drilling, and it's more difficult to duplicate keys. Each one's going to have this weather-resistant rubber dust cap that keeps the cylinders free from water and debris. It's going to come with two key to like 00:01:11 tube keys, so both keys are included. This is designed for the HD series months that go inside of a 2.5" by 2.5" trailer hitch receiver. Few measurements to go over with you real quick, and then we'll actually show you how it looks on a Fastway Flash HD ball mount. Taking a look at the overall length of the longer one, measuring edge to edge, we're looking at about 7.5". The span, which is basically the usable pin length, so from this point here to this point here is going to be about 4.5" long. That pin diameter is 5/8". Taking a look at the shorter one, that's going to give us an overall length of about 6 and 3/4". Usable pin length on that one's going to be about 3 and 5/8", and that's also going to have a diameter of 5/8". Right here we have a E-series HD mount. 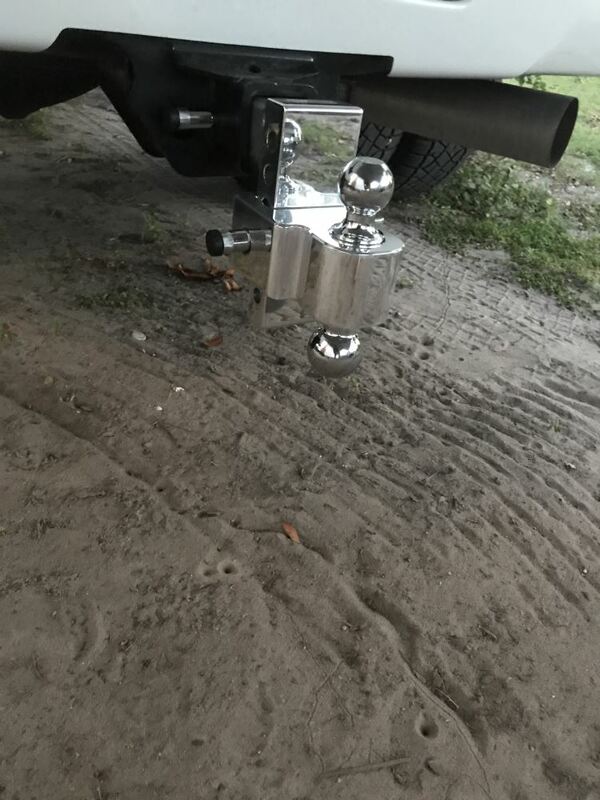 The shorter pin and lock is going to go through the holes on the hitch, through the holes in the mount, and this is going to secure it inside the receiver tube of your hitch. The longer pin and lock is going to secure the platform to the adjustment bar. What you would do is you would pull out the pin that came with the mount, replace it with this one right here, goes through. Place the lock on the other side, and simply just move it to the locked position. Place the dust cap on there. 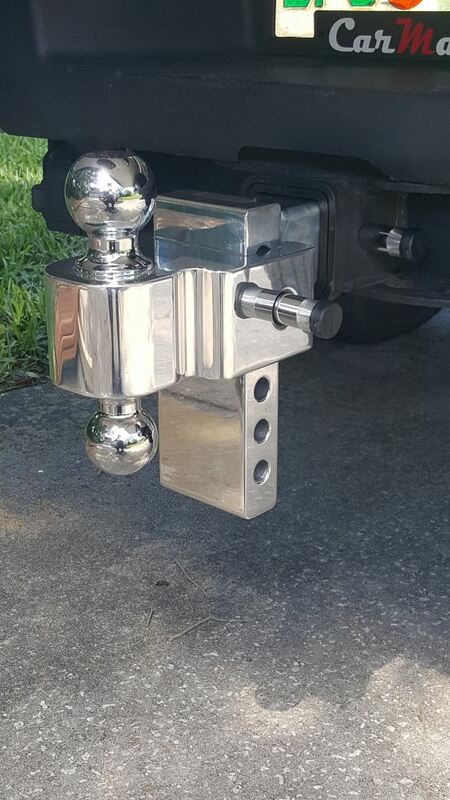 That's going to do it for today's look at the Fastway Trailer Hitch Lock and Adjustment Pin Lock Set. 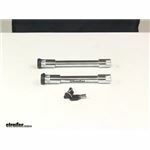 Order: RelevanceNewestRating - High to LowRating - Low to High Designed for your Flash E Series ball mount, this lock set includes a 5/8" lock to replace the adjustment pin that holds the ball mount platform in place on the shank, and a 5/8" lock to secure the ball mount in your 2-1/2" receiver. The Fastway Trailer Hitch Lock and Adjustment Pin Lock Set for Flash E Series HD Ball Mounts # FA86-00-3685 does not allow a 3rd pin keyed alike although the 2 in the kit come keyed alike. 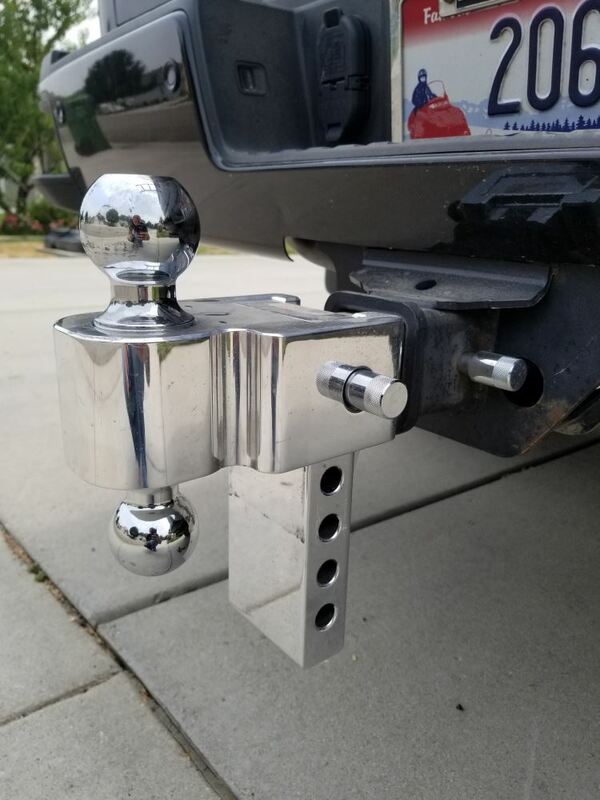 If you want 3 pins 5/8 inch diameter, then the DeadBolt Trailer Hitch Receiver Lock - Extra Long - Flush Design for 2-1/2" Trailer Hitches # RH5-XL is the only option, but you can get as many as you like. 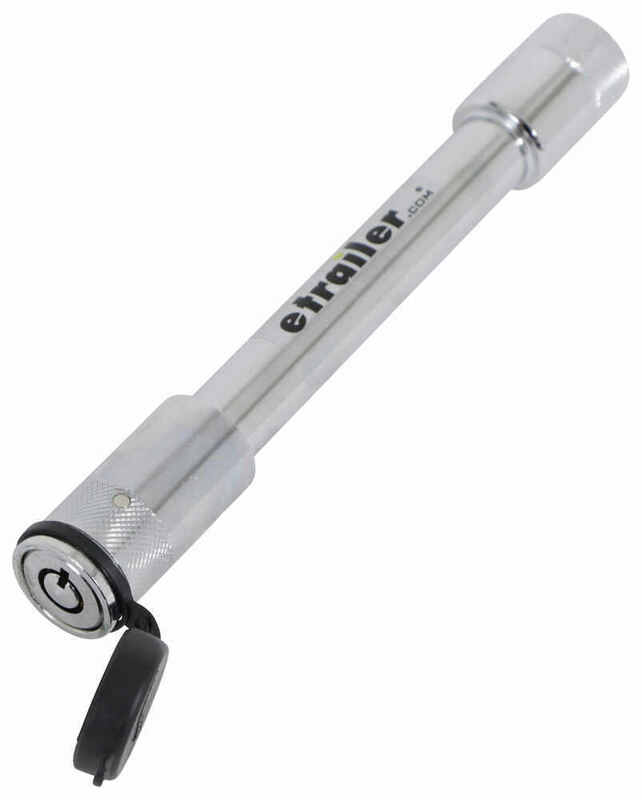 This will work with the Fastway Trailer Hitches but won't have separate lengths like the kit. The Fastway Trailer Hitch Lock and Adjustment Pin Lock Set # FA86-00-3685 referenced in your question does not have a specific towing weight capacity. These will be used to secure the ball mount shank into the hitch receiver and the ball mount platform to the ball mount on the Flash E Series Ball Mounts like # FA42-00-2625. 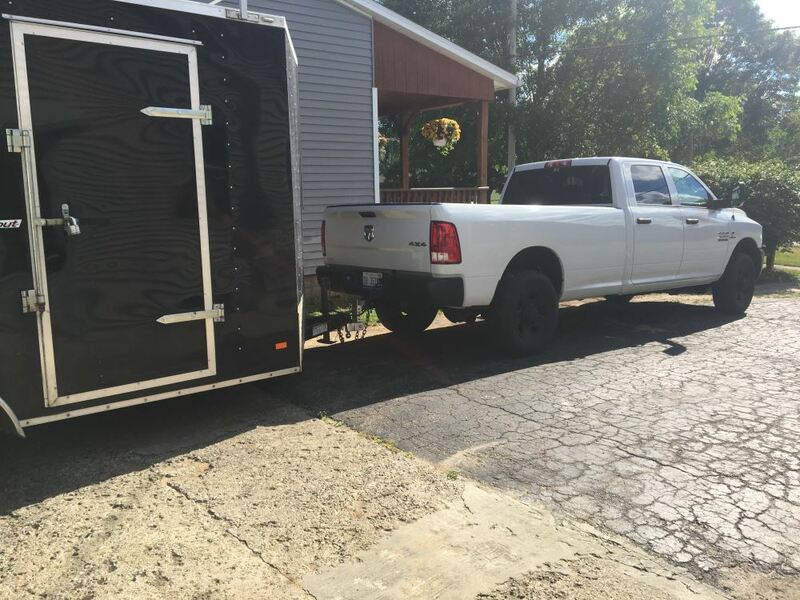 You will simply follow the weight capacity of the ball mount or whichever component in your towing system has the lowest rating. I checked your order notes and it looks like you have the part # FA86-00-3685. With the key number you have on your keys you can order replacements. What you will need to do is search our website for the FA-KEY- followed by the key number and you'll see the correct key. For example if you have key number 302 the key you would need is part # FA-KEY-302. Is A Flash Self-Locking Aluminum Ball Mount For 2-1/2 Inch Receiver Available? I contacted the manufacturer and there is not a Flash self-locking, aluminum ball mount available like Item # DTLBM9200 in a 2-1/2 inch size. Other options are available but they would be like the Flash E Series HD Adjustable 2-Ball Mount for 2-1/2 inch Hitch, Item # FA42-00-2625. If you wanted a hitch lock then you would need something like Item # FA86-00-3685. I have attached links to our available inventory and to a video for you to check out.